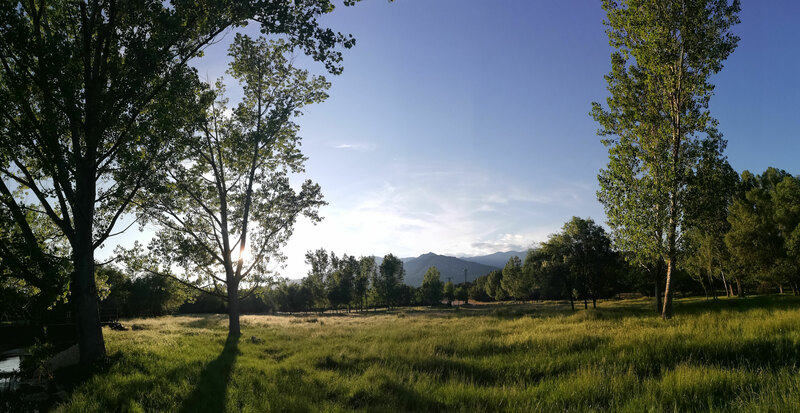 Situated in Manzanares el Real, in the heart of the National Park of the Sierra de Guadarrama, La Cañada en Bici offers MTBs for rent with all the accesories you need for a fun day. 1. Book your bikes by phone or email. We also rent kids trailers and additional accessories. 2. Choose where to start and end your route. 3. We deliver the bikes to the location of your choosing and pick them up at the end of your route. We can deliver bikes rentals to your home, hotel, vacation rental or the starting point of your route. Delivery is free in the area of Miraflores de la Sierra, Soto del Real, Bustarviejo and Guadalix de la Sierra. We can also shuttle you to your chosen starting point. Need a bike in a different location? Please, call us for delivery rates. We can suggest routes of differing levels of difficulty (including routes for children!). We suggest booking at least a day in advance to guarantee your ride. Full on-call support: Should you have a flat tire or other problem, we will come to you. Our support van will usually reach you within an hour to fix or replace your bike. Come to the Sierra de Madrid with children, in a group or whatever you like and enjoy a mountain bike route in the middle of nature. Bikes for all ages and sizes. Adults male, female, junior, and now also child. Trailers for children from age 1 and up. They can carry 2 children. Maximum load 40 kg. Homologated and withtrunk. 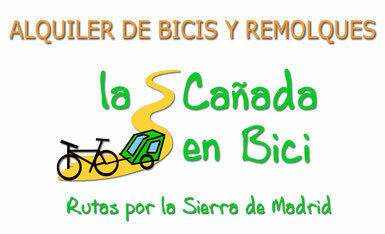 GPS with the routes of La Cañada en Bici. A helmet and repair kit (pump, spare camera and tools) are included with each bike.